Buon giorno! Mi chiamo Zeppole. Piacere di conoscerla. 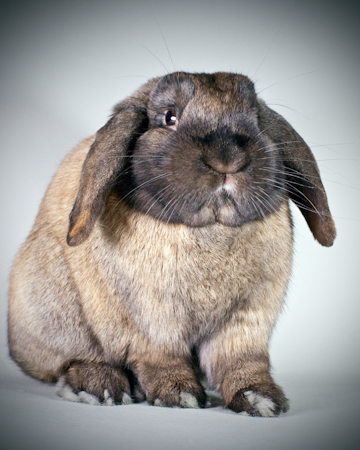 I'm a very handsome, neutered, mini-lop boy who is ready for a new life full of joy and fun. I had been surrendered to San Francisco Animal Care and Control along with my girlfriend bunny, Farfalette and our babies. We are no longer a bonded pair, though if you are interested, the volunteers at SaveABunny, may be able to rebond me and Farfalette if she's not adopted before then. Or, maybe your bunny wants a handsome friend? And, if you think you can give me lots of undivided attention with several hours of run and play time each day, maybe you can adopt me as a single guy.